There’s not much I can say about the book only that I was disinterested in it after page 114. That disinterested took a steady climb after page 45. Now, it had nothing to do with my dithering in starting the book concerning its age and hard-boiled male lead. It just wasn't resonating with me. The writing was so terse and thin that I hardly managed to gather the details, as well as Chandler’s ability to direct a usable scene. For a book so thin, it read thin. I like a little more meat on my book bones, and this was way too meatless for me. If you want to read about 30s style P. I.s, then maybe it’s a winner on its own accorded. Other than that, I couldn't grasp anything Chandler had to share; his characters, plot, and mystery structure. A part of me says that I'm simply not in the mood for the book. Another part of me is screaming how important it is to stop lying to myself and move on. 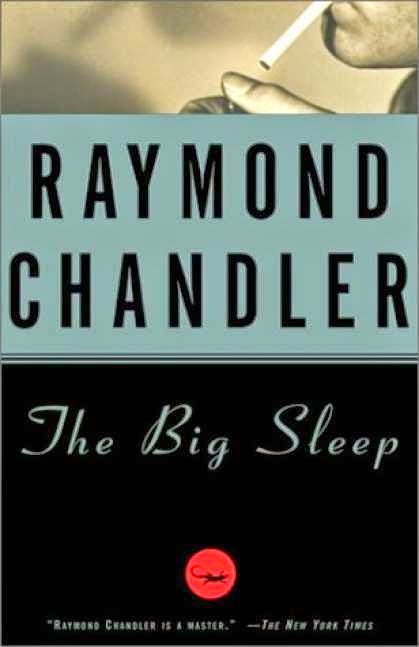 I read a review that the next book in his Philip Marlowe series shows strength in his storytelling and writing. Will I make it to that? I have no idea at this point. So what makes you abandon a book and why? Do you keep going? Do you cut the book off at a certain page number? And how do you deal with the guilt of leaving a book out in the cold?